Although we live in a modern world where age is just a number, not all parents are comfortable with their children marrying someone who is much older. However, this bride found a way to deal with her future in-laws. Just earlier this month (January), a video of a 23-year-old guy marrying a 38-year-old woman went insanely viral on social media. 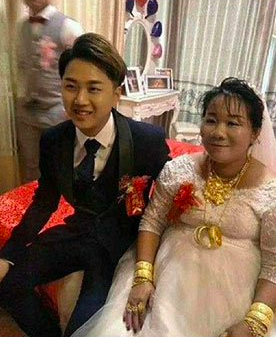 Netizens were shocked by the rather big age gap between them (15 years) and it was reported that the bride is allegedly only one year younger than the groom’s mum. According to China Press, the wedding took place in Hainan province, China. 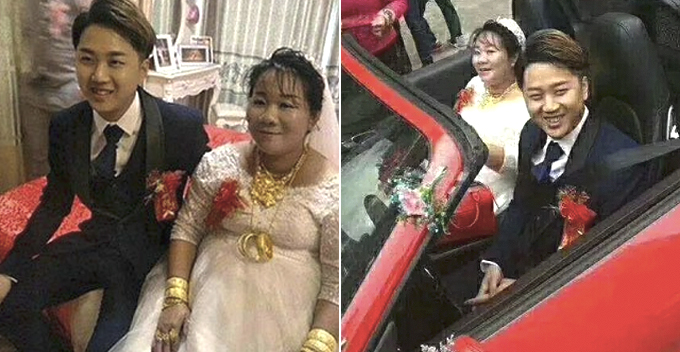 Initially, the groom’s father and mother, who are 41 and 39 years old respectively, didn’t agree to the wedding because of the obvious age gap reason. However, the millionaire bride managed to kaotim them with this superpower called… being rich. She reportedly paid the parents a whopping 5 million Yuan (approx. RM3 million) to get their approval and blessings. Whoa, so much money! So, the wedding proceeded without a hitch on the auspicious day. The middle-aged bride wore a lovely gown featuring tons of jewellery while the young man wore a smart tuxedo. 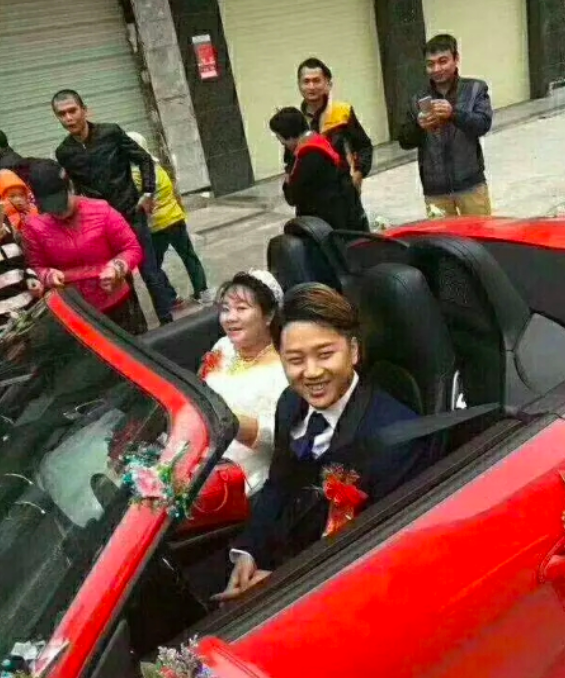 Based on the short video, the young groom looked happy and was smiling from ear to ear sitting in a sports car with his wife. 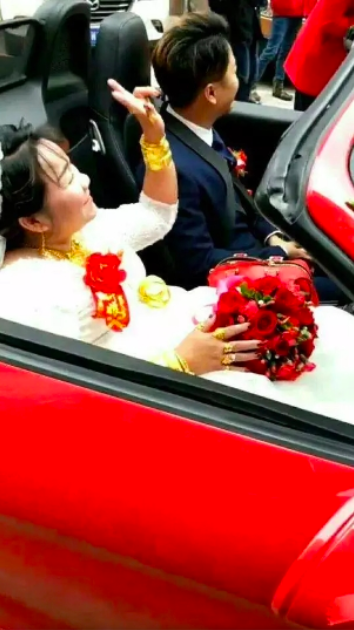 According to Sina, a netizen who claims to personally know the groom said that the bride was actually the groom’s sugar mama before they tied the knot. They were just ‘fooling around’ but she ended up getting pregnant. Thus, they had no choice but to get married and the future in-laws only agreed to the wedding after the bride gave them the lump sum of money and even bought them a few houses. 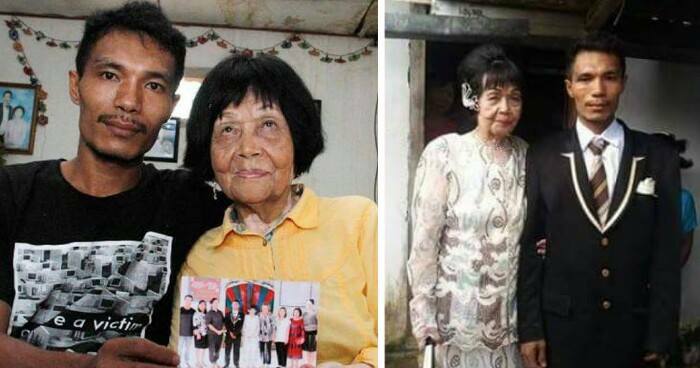 The netizen also added that the bride was a single mother with a 14-year-old son. This makes the child’s step-father only nine years older than him. Well, the newly-weds certainly seem happy during the ceremony. We wish them nothing but more joy in this new chapter together. Stay sweet lovebirds!